A big part of becoming a disciple of Christ is to establish the lifestyle habits of a disciple. By that, I mean the things you learn to do on a regular, habitual basis that help orient you to a life of following Jesus daily. Let’s face it, the things you do on a regular basis are the things that will shape your life. That’s true whether we’re talking about binge-watching Netflix each evening, or reading your Bible each morning. Your daily habits are what shape your life for good or ill. This is why weekly church attendance is good and helpful, but if that’s all there is to it, and there is no daily follow-up to the things you sang and confessed and heard on Sunday, it will only have a minimal effect on your daily living. What is needed is some kind of plan for the daily application of the truth you’ve heard and learned on Sunday. That’s where the conscious choice to establish “holy lifestyle habits” comes in. Because, it’s the things you do on a regular, habitual basis that truly begin to shape your life. Here’s an easy example, if you’re in the habit of beginning your day with a big breakfast followed by a long day at work characterized largely by physical inactivity behind a desk, your life (and body) will take on one shape. If, on the other hand, you learn to begin your day with a quick workout and a light breakfast while finding ways to up the ante on physical activity throughout the day, then your life (and body) will begin to take a different shape. That’s true physically. It’s just as true spiritually. The lifestyle habits you practice are what will shape your life. And let’s face it, we all have such lifestyle habits – some we have chosen, others we’ve just settled into without thinking (And it’s the ones we settle into without thinking that usually do the harm!). So part of the process of growing in Christ-likeness is learning how to choose the kinds of daily, lifestyle habits that will shape your life by bringing you face to face with Christ in the Gospel on a regular basis. In other words, you have to have a plan. For me part of that plan has meant establishing a specific place in my house (a chair in my basement) and a time of the day (first thing in the morning) when I will open the Bible to read, worship, and pray. What I’ve found is that by having a plan to do these things, even when I don’t get to them due to crazy busyness or unexpected interruptions, I always come back to them because they are now so much a part of my life. They’ve become such a habit that I can’t imagine living without them. They’re so “baked in” to me, that I no longer feel like “myself” without them! That hasn’t always been the case. There was a time when I did not have such a plan. Oh, I still “hoped” to read the Bible daily and pray. I knew I needed to. I really wanted to. But I usually didn’t because it just wasn’t an intentional part of my day. It wasn’t built in to the habit of my daily lifestyle. Changing that habbit took a series of conscious choices on my part. It took an effort on my part to change the daily routine that had become my habit by accident, and replace it with a new daily routine that pointed me in the direction I needed to go. And sure, it felt odd at first, even fake. This wasn’t how I lived my life! But over time the “new habit” took over and worked its way into the rut of my life in a way that I truly can’t imagine living without today (nor would I ever want to, now that I’ve begun to experience the benefit!). So what are the lifestyle habits that you have fallen into by accident? Take a look and see. They might be morally neutral, like having the television or iTunes on all day or binge watching old MASH episodes every evening. But if they are distracting you and stealing time away from you that could be redirected to something that helps you draw near to Christ (or point others to Him), perhaps you need another plan? Scott Lee is a professor of Bible at Missouri Baptist University and pastor of Rockport Baptist Church in Arnold, MO. He is also an occasional speaker at the annual Southern Baptist Founders Conference Midwest. 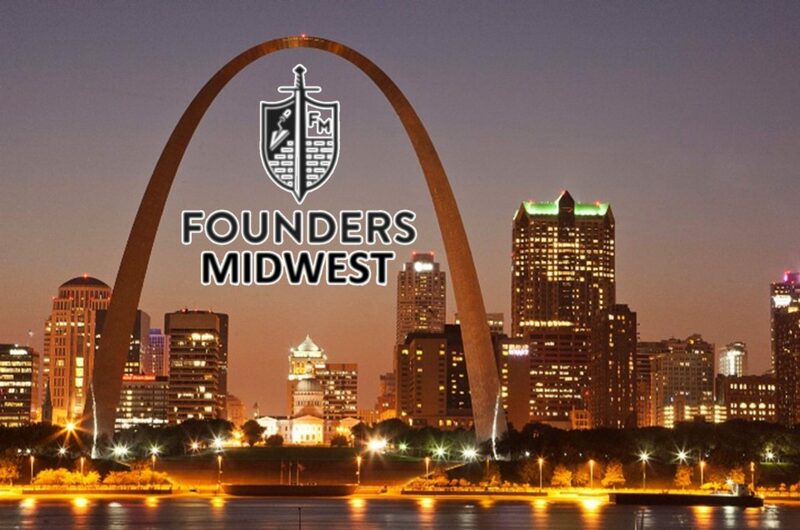 If you would like to more information about Founders Midwest or the annual Midwest conference, be sure to check out our Facebook page or visit our website for more information. John Calvin longed to bring corporate worship back to a God-centered, biblically-informed model. He believed that worship, understood as what we would today call the entire “worship service” must be simple. To this end, he believed that there must be order in worship so as to “take away all confusion, barbarity, obstinacy, turbulence, and dissension.” While he is largely the “face” of the Regulative Principle of Worship, wherein the corporate worship of God is to be established by the parameters explicitly set forth in Scripture, we must understand that his cultural context largely determined his stance. In the preface to the Genevan Psalter, he states that there are two kinds of prayer. The first is simple, spoken prayer. The second is the prayer of singing. Since we are praying to God through our songs, Calvin found it best to sing the hymn book given to us by God, inspired by the Holy Spirit, and written by men. That is, the Book of Psalms which he set to metrical form in the aforementioned Genevan Psalter. It is important to note that this particular order of worship includes the Lord’s Supper table (Liturgy of the Upper Room) which Calvin wanted to serve weekly but Geneva allowed quarterly. While this order of worship may seem rigid by today’s standards, and perhaps too liturgical, one can readily see how Calvin was passionate that the entire worship service points the Christian to the one, true God. Calvin firmly believed the local church was the best expression as the key meeting place of a local body of believers. The bottom line, Calvin, through his concept of the Regulative Principle, was fighting the same battle many today are fighting when it comes to styles of worship. He tired of the mindless, passive approach that the Roman Catholic Church had in essence forced on the congregation. He believed in active participation of the congregants through prayer, praise, singing of hymns, and, perhaps most importantly, the active listening of the sermon. Many of the churches today in need of revitalization must to move away from the showmanship of Hollywood and ought to be reoriented to the necessity of actively worshiping God in “spirit and truth.” Though Calvin was seeking to reform most, if not all, of Christianity as the Roman Catholic Church had understood it, he was at the same time seeking to revitalize the local church to a greater understanding of worship that is God-centered. This is in contrast to the Sacrament-centered approach of Rome and, by default, to the pew-centered view of the modern church. As we study Calvin and his thoughts on worship, we will find a sound Protestant understanding of genuine worship rooted in the Word of God. This should serve as a template for our revitalization needs today. Worship is to be God-centered, informed by Scripture, and lead by the pastor though he can delegate to another. Growing up, I liked and cheered for the National Football team, the Dallas Cowboys. I had the playing cards, the helmet mug with the Cowboys emblem, and the videos immortalizing prior Cowboys seasons. Year after year, during good seasons and bad, I cheered for the Cowboys as if I were part of the team. I recently reflected as to why I liked the Cowboys so much. I wasn’t born in Texas, nor have I ever lived in Texas. So why was I such an ardent Cowboys fan? I cheered for the Cowboys for no other reason than my father cheered for them, and he passed that tradition on to me. When we think back over church history, it is good for us to be reminded that in the same way that my father passed on the tradition of cheering for a specific football team, so too have traditions of biblical fidelity (faithfulness) been passed down to us from the Reformers. As current ministers and laypeople for the faith, it is important for us to recognize what our forefathers have handed down to us in the form of biblical constancy and faithfulness. Our church fathers labored for the accuracy and intentionality of the Word, and in so doing, have passed on the legacy of precision when it comes to the text. Granted, in our modern culture, it can be difficult to maintain biblical fidelity. It seems that every other week some new megachurch pastor is attempting either to discredit the inerrancy of Scripture, or to challenge clear biblical teaching about sin and salvation. With so many modern pastors failing to defend biblical fidelity, we can quickly find ourselves wondering whether anyone remains faithful to God’s Word. Therefore, we would be wise to not only remember the legacy passed down from these specific Reformers, but also to hold fast to the truths for which they fought and died. One such figure who gave his life holding fast to the truths of Scripture was Jan Hus (John Huss). When many people think on the Reformation, they rightly think back to Martin Luther’s nailing of the 95 Theses to the Wittenberg Door in 1517 as the inauguration of the Reformation. While this event was the pivotal point of the Reformation, the Reformation proper actually began years before Luther was even born. One of the earliest and most influential Reformers was a Bohemian priest named Jan Hus (c. 1371-1415 A.D.), who died over 100 years prior to Luther’s nailing of the 95 Theses. Hus was one of the first Reformers to hold to a high view of Scripture. Because of his elevated view of Scripture, Hus committed himself to obeying Scripture in all forms and practices. Therefore, while serving as priest at Bethlehem Chapel in Prague around 1402, Hus committed his life to accurately attesting to the truthfulness found in Scripture by focusing exclusively on preaching in the common vernacular. One of Hus’ earliest controversies against the Roman Catholic Church involved the unbiblical practice of allowing only the celebrants (priests) to take the chalice (wine) during the Lord’s Supper. Using Scriptural support, Hus fought against this distortion of the Lord’s Supper by the Roman Catholic Church. Understanding the gravity of what was at stake, Hus denounced participation in the practice that he deemed “wholly and completely unbiblical.” When challenged on his views concerning indulgences, Hus responded, “Shall I keep silent? God forbid! Woe is me, if I keep silent. It is better for me to die than not to oppose such wickedness, which would make me a participant in their guilt and hell.” It was this response from Hus that brought the greatest attacks from the Roman Catholic Church. Unfortunately for Hus, he had few breaths left in him. A few years later in 1415 while imprisoned in Constance, Germany, the convening council charged Hus with heresy. According to one of the council members who condemned Hus, “Since the birth of Christ there has never been a more dangerous heretic than you [Hus], with the exception of Wycliffe.” After being ordered to recant, Hus refused, and was ordered to be burned at the stake. Jan Hus lived and died defending one of the core tenants of the Christian faith – the necessity and infallibility of the Bible. Like the Catholic Church so many years ago, many people today treat the Bible in a parallel fashion – solely as a list of moral suggestions and guidelines that can be contrived for personal use and gain. Jan Hus rightly understood that the Bible is unquestionably and unchangeably the Word of God, and thus cannot be manipulated to satisfy mankind’s preferences. Just as in Jan Hus’ day, we must hold fast to the truth that Scripture is all-sufficient for every area of life, all the while guarding the Scriptures from those who seek to fragmentize it.